The number of homes destroyed in Hawaii's Kilauea eruption has jumped to 117 from 87, according to Monday figures released by the Hawaii County Civil Defense. 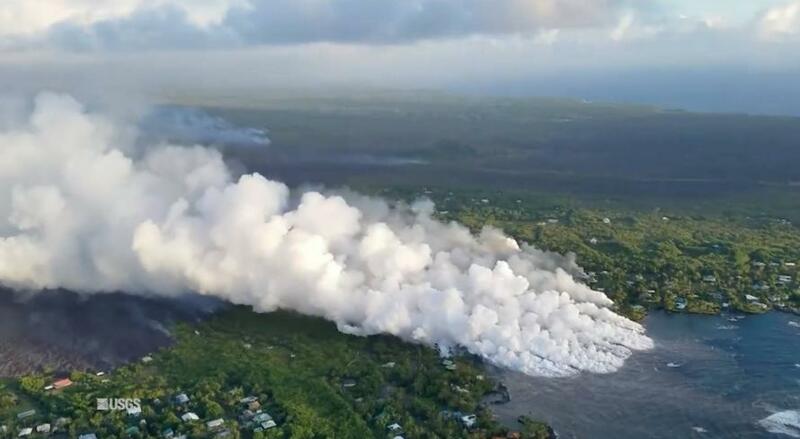 An estimated 20-40 homes were destroyed in Kapoho, while around a dozen people were trapped on the eastern tip of the island after fast-moving lava cut off all access to the rural community, according to spokeswoman Janet Snyder. Kapoho was destroyed in 1960 by a similar Kilauea eruption. The trapped residents ignored several days of warnings from authorities, but many have refused to abandon their homes. So far, 18 people have been arrested for trying to sneak past off-limits areas to catch a look at the oozing lava (or loot homes). The Hawaii Volcano Observatory reported that Fissure 8 is continuing to feed “a large channelized flow” along Highway 132. 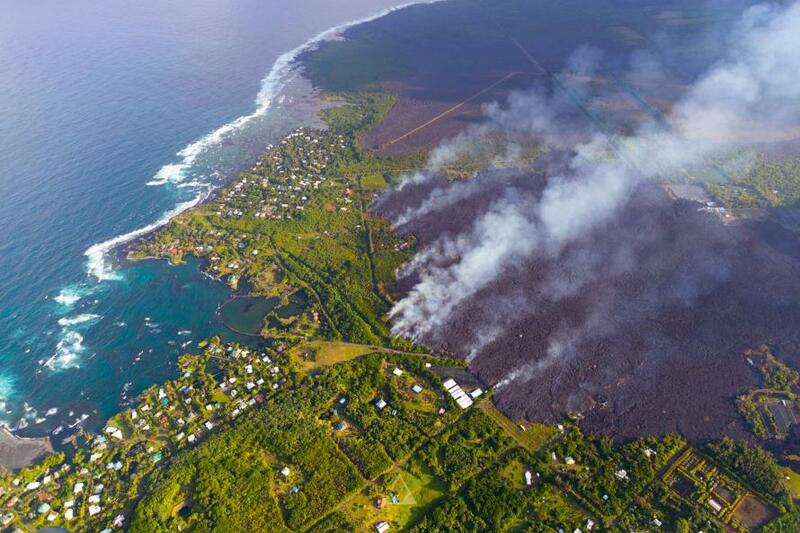 Fissure 8 continues to be the most active, with fountains of lava shooting as high as 220 feet. 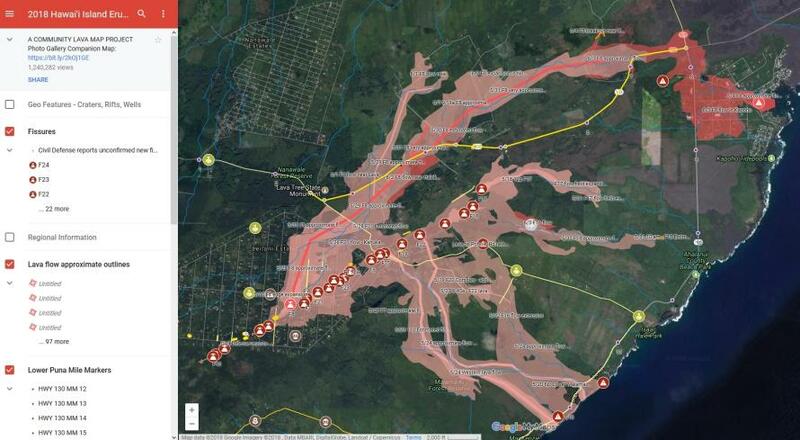 Officials said Monday that volcanic gas emissions near Kilauea’s summit still remain high. Sunday marks the one-month anniversary of Kilauea's recent eruption, as ash shot 8,000 feet in the air. USGS geophysicist Brian Shiro said that 500 earthquakes had struck near the summit over a 24-hour period. 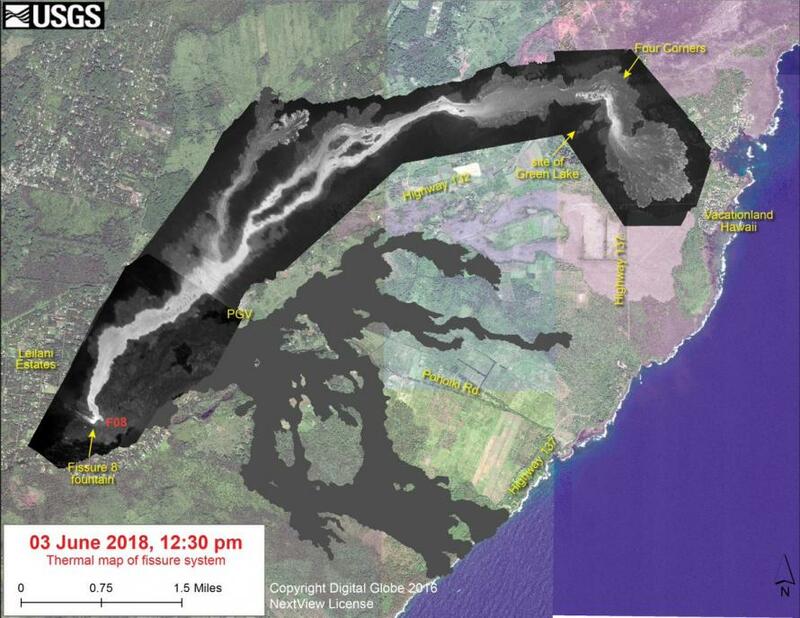 Thermal images of #Kilauea's #Fissure8 #lavafountain from May 30 to June 3. Satellite data acquired by the Landsat 8 Operation Land Imager (OLI) captured the flow from the night of May 23 for this false-color image.